The first end of the world prediction was recorded one second after the Big Bang and since then it has become the daddy of all predictions with, to date, no one getting it right. And human beings have been around for about 200,000 years, with very little evolutionary difference, and yet we still haven’t developed X-Ray eyes or the ability to fly. 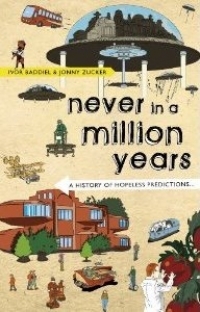 In this book, Baddiel and Zucker examine the predictions that have been made since the dawn of time on a variety of subjects, from the end of the world and the human body, to global warming, robots in the workplace, teleportation and space exploration. With a witty and fresh tone, they examine how these predictions came about and why, and rate them for retrospective accuracy.